This Salsbury Industries Recessed 4C Horizontal Mailbox has thirteen tenant doors and two huge parcel lockers. The outgoing mail compartment includes an ample mail slot and weather protection hood. 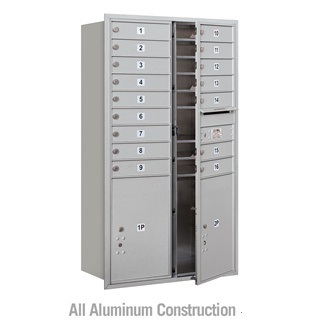 Made with durable aluminum construction this 4C horizontal mailbox is warranted for indoor or outdoor use. This Recessed Horizontal Mailbox meets the needs of a variety of office environments. 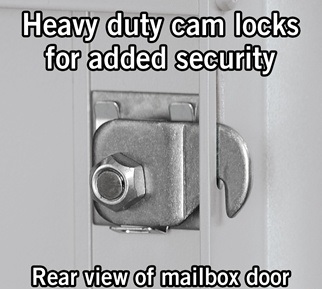 Doors include a heavy duty cam lock with a dust/rain shield and 3 keys. 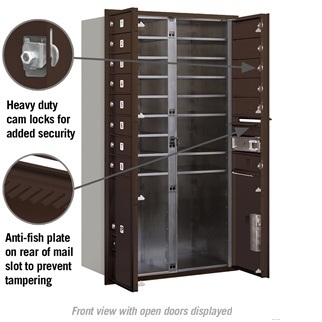 USPS-STD-4C regulation requires a one parcel locker for every ten tenant compartment ratio. 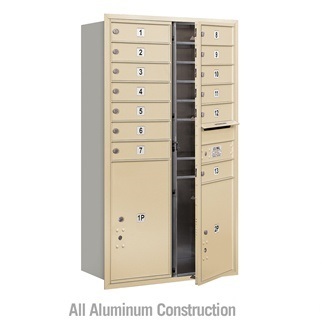 This a large mailbox unit delivers tremendous benefits including practicality, effectiveness, convenience and durability while saving space too. 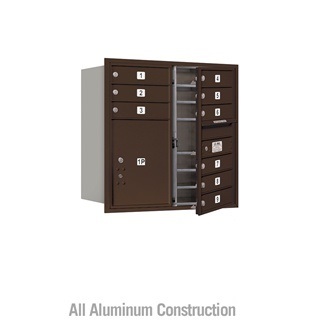 Shop our entire selection of 4C horizontal mailboxes online today for durable and affordable mailing solutions.